A wrongful death claim can be extremely complex. Most wrongful death cases are based on negligence, asserting that someone’s negligent actions caused the death of another person. You must also show that there was no legal justification for those actions. Even if your loved one was fatally injured, the burden of proof is on you. If your loved one passed away due to someone else’s actions, you need an experienced attorney to help you with a wrongful death claim. Our skilled wrongful death lawyers at Russell & Lazarus APC can help you gather necessary evidence and obtain compensation for your losses. Call us today at (949) 851-0222. A wrongful death occurs when a person dies due to the actions of another person where there is no legal justification for those actions. Legal justifications may include self-defense, defense of another person, the deceased person committed certain unlawful acts, the deceased person contributed to the cause of death, and various other reasons that may justify the actions of the person causing the death. Although the actions may have been intentional, most wrongful death claims are based on negligent actions because intentional deaths (like murder) are not typically covered by insurance. Most wrongful death claims demand compensation from an insurance company because defendants who cause death can rarely compensate the family of the deceased. However, there are examples of intentional wrongful death claims, such as that of O.J. Simpson and Nicole Brown Smith. The people making the wrongful death claim are entitled to assert such claims. The wrongful death was caused by the negligent conduct. 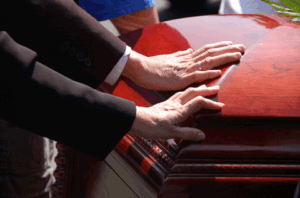 The people making the wrongful death claim suffered losses that may be compensated. Friends and family members who would not have inherited from the victim may not assert a wrongful death claim in California courts. You must show that the death of your loved one was directly or indirectly caused by the negligent conduct of the defendant. That means that the conduct is ultimately responsible for the death. In a wrongful death claim, you must obtain adequate evidence to show a connection between the negligent actions and death of your loved one. This may require a private investigator, expert witnesses, and other professional opinions. You must show that you suffered loss, either economic or non-economic, as a result of the wrongful death. In addition, you may show actual financial losses, such as income, inheritance, and funeral expenses. You may also show non-financial losses, such as mental anguish, loss of love and companionship, and loss of enjoyment of sexual relations. If your loved one passed away due to the negligent actions of another person or company, contact our experienced attorneys right away to file a wrongful death claim. Call Russell & Lazarus APC at (949) 851-0222.